Paso Robles, CA – The Paso Robles Wine Country Alliance (PRWCA), in conjunction with Visit Cambria, Visit San Simeon, and the California Highway 1 Discovery Route announce the return of BlendFest on the Coast. Over the Martin Luther King, Jr. holiday weekend, the Third Annual BlendFest on the Coast will showcase the wines of 32 Paso Robles wineries at a new location, The Cambria Pines Lodge. This limited audience event has been in high demand the previous two years, so wine enthusiasts are encouraged to book their accommodations and tickets early to avoid missing out. Ticket information can be found here – www.pasowine.com/events/blend-fest-tickets.php. On Saturday, January 14, BlendFest features two sessions, including an Afternoon Tasting (1 – 3 p.m.) and a Sunset Tasting (4:30 – 6:30 p.m.). The afternoon tasting, at $45, will include tasting from 32 different wineries pouring more than 90 wines and accompanied by cheeses that pair well with wine. 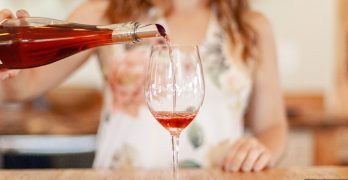 The Sunset Tasting, at $65, features the same wineries sharing their best blended wines along with savory bites from The Pairing Knife. A complete list of ticket levels are detailed on – www.pasowine.com/events/blend-fest-tickets.php. Attendees staying at San Simeon and Cambria hotel properties will receive a VIP entry. Each guest can access the tasting 30 minutes early by presenting their room key at the time of entry. More than 40 properties are available for guests to book reservations directly. Participating hotels can be found here – www.pasowine.com/events/blend-fest-lodging.php. With the Martin Luther King, Jr. holiday weekend, people are encouraged to book early to guarantee their VIP status. BlendFest on the Coast concludes Sunday, January 15, with two live blending sessions. Wine enthusiasts can participate in two different, concurrently running sessions. Winemakers from the Paso Robles CAB Collective will blend Bordeaux varieties in one session, and winemakers with the Paso Robles Rhône Rangers will blend Rhône varieties in the other session. Seminars take place at the Cavalier Oceanfront Resort at 10 a.m. Seating is limited, tickets are $40 per person and includes a barbecue lunch immediately following the seminars. Tickets for both events can be purchased at www.pasowine.com/events/blend-fest-tickets.php. The Cavalier Oceanfront Resort will also play host to an artist guided painting session, as part of Cambria’s Stewardship Travel Program. The subject is the Piedras Blancas Light Station and a docent will be in attendance to provide education on this iconic landmark to our majestic coast. More information is coming soon to www.pasowine.com. Wine LA: has continuous Classes and Tastings that include Wine Camp 2/6, Wine Dinner 2/11, Wine, Cheese and Chocolate 2/13, Dry Creek Valley Tour 2/20, James Suckling Wines of Italy Tour 2/25, Brunello vs. Bordeaux 2/28, Stars of Napa Valley 3/2, Wine Camp 3/6, Cult Wines Cab Dinner 3/12, Pinot Noir vs. Burgundy vs. Beaujolais 3/13, Napa Trip 3/18+20, Tapas 3/24, Trip to Sicily and Sardinia 4/2-9…and MORE! Cambria Art and Wine Festival 1/29-31: Begins Friday Morning with shopping specials, raffle ticket opportunities, wine tasting and demonstrating artists throughout the village. Friday evening an Event Kick-Off Party offering wine and food pairing, entertainment, preview of the Art Show/Silent Auction and special raffle prize packages will be held at the Veterans’ Hall. Saturday offers Wine Tasting at the Veterans’ Hall (west village), The Cambria Center for the Arts (mid village) & the Cambria Historical Museum (east village), over 40 local wineries participating. Saturday Evening offers additional venues with artists, food and wine pairing and continued entertainment. Check the Details Page. Sunday offers an Artist’s Faire with demonstrating artists, wine tasting and a barbecue lunch available. Raffle drawings will be held at the end of the event on Sunday at the Artist’s Faire. Wally’s UGC Bordeaux 2013 Vintage Tasting 1/29: An opportunity to taste the new 2013 vintage from many of the best producers in Margaux, St Julien, Pauillac, St Estèphe, Listrac, Moulis, Médoc, Haut-Médoc, Graves, Pessac-Léognan, Saint-Emilion, Pomerol, Sauternes and Barsac. The Union des Grands Crus de Bordeaux (UGC) is visiting Los Angeles to promote the soon-to-be-released 2013 vintage. The Union is an affiliation of the best Bordeaux producers from all of the major Bordeaux growing regions. More than 80 châteaux will attend and winemakers and owners will pour over 100 wines from the 2013 vintage. This is the largest Bordeaux tasting in the United States. Taking place in The Museum of Flying at Santa Monica Airport, guests will be able to take in vintage aircraft and aviation memorabilia while sampling world class wines. Wally’s Cheese Box, along with Monsieur Madame and The Bison Burger food trucks, will also be on-site. This event will sell out. Sign up today! All net profit proceeds to benefit Food on Foot. NEW Valentine’s Day Dinner at Newhall Refinery: Enjoy a 4-course gourmet candlelit meal paired with beer or wine flight at one of our favorite restaurants. Live background music and complimentary valet parking included. 5pm or 8pm seatings. Please email or call for availability, menu options and pricing: sercek.refinery@gmail.com or 661-388-4477. American Wine Specialist course Feb 20, 21, 27 and 29 (this is the one you can take with me, so let me know if you signed up: Eve@EveWine101.com) The course consists of 24 hours (4 full days) of class time and tasting, with a final written exam (5th day) required to achieve the official AMERICAN WINE SPECIALIST® certification, issued by the North American Sommelier Association and recognized internationally by the Worldwide Sommelier Association (www.worldwidesommelier.com). Designed around the concept of our widely acclaimed ‘Italian Wine Specialist‘ certification, this course focuses on the same holistic teaching methodology, looking at culture, history, terroir, climate, geology, geography, enography, legislation and tasting of 30+ high quality wines representative of wine regions around the USA. A short portion of the course will be dedicated to the exclusive and advanced WSA/NASA technical wine-tasting technique. The Essentials 2/20: LA Weekly presents The Essentials, our signature food and wine event benefitting Food Forward: A.O.C., Animal, Beverly Soon Tofu, Broken Spanish, Chengdu Taste, Chichen Itza, Coni’ Seafood, Crossroads, Guelaguetza, Guerrilla Tacos, ink., Jitlada Southern Thai, Kiriko Sushi, Kogi BBQ, La Casita Mexicana, Lucques, Mariscos Jalisco, Park’s BBQ, POT, Providence, Republique, Sotto, Spago, Sqirl, Szechuan Impression, Terrine, the hungry cat, Night + Market, Wexler’s Deli, Baroo, Jon & Vinny’s, Le Comptoir, Racion, Luv2eat Thai Bistro, RedBird, RiceBar, Mélisse, Philippe the Original, Bestia, Cassia, Rustic Canyon Wine Bar and Seasonal Kitchen, Guisados, Lukshon, Connie and Ted’s, Maude, Belcampo Meat Co., Little Sister, Dune, Pine & Crane, Union, Aqui es Texcoco, Burritos La Palma, Cacao Mexicatessen, Corazon y Miel, Bludso’s BBQ, Osteria Mozza, Trois Mec, Papilles Bistro, El Huarache Azteca, Button Mash. Paso Robles, CA – The Paso Robles Wine Country Alliance (PRWCA), in conjunction with Visit Cambria, Visit San Simeon, and the California Highway 1 Discovery Route announced the return of BlendFest on the Coast. On February 20, 2016 the Second Annual BlendFest on the Coast will showcase the wines of 30 Paso Robles wineries held behind the closed gates of the Hearst property, at a San Simeon warehouse that housed Hearst’s extensive art collections. BlendFest on the Coast also features a partnership with Cambria and San Simeon lodging properties, offering discounted Stay & Save BlendFest on the Coast tickets. In 2015, the inaugural event sold out early, so wine enthusiasts are encouraged to book their accommodations today. Ticket information can be found here – www.pasowine.com/events/blend-fest-tickets.php. BlendFest features two sessions, including an Afternoon Tasting (1 – 3 p.m.) and a Sunset Tasting (4 – 6:30 p.m.). Without overnight accommodations, tickets are $40 and $60 respectively. A complete list of ticket levels are detailed on www.pasowine.com/events/blend-fest-lodging.php. San Simeon and Cambria hotel guests will receive discounted admission with their hotel stay at participating lodging properties by booking their stay directly with the hotel. By booking directly, guests are given an access key to unlock the special ticket pricing. Participating hotels can be found here – www.pasowine.com/events/blend-fest-lodging.php. New in 2016, BlendFest on the Coast offers two limited seating events. On Friday, February 19, multiple Paso Robles winemakers will pair their wines with the cuisine of Cambria’s Centrally Grown restaurant. On Sunday, February 21, four Paso Robles winemakers come together at Harmony Cellars for a unique, team environment, Blending Seminar. Complete with a competition for best blend and lunch, this is set to be a memorable experience. Tickets for both events can be purchased at www.pasowine.com/events/blend-fest-tickets.php. Proceeds from BlendFest on the Coast (Saturday, February 20) go to non-profit organizations, including Friends of Hearst Castle – www.friendsofhearstcastle.org. The Paso Robles Wine Country Alliance (PRWCA), in conjunction with the Cambria Tourism Board, San Simeon Tourism Board and Wine Coast Country announced a new partnership to bring a Paso Robles wine event to the north coast of San Luis Obispo County. 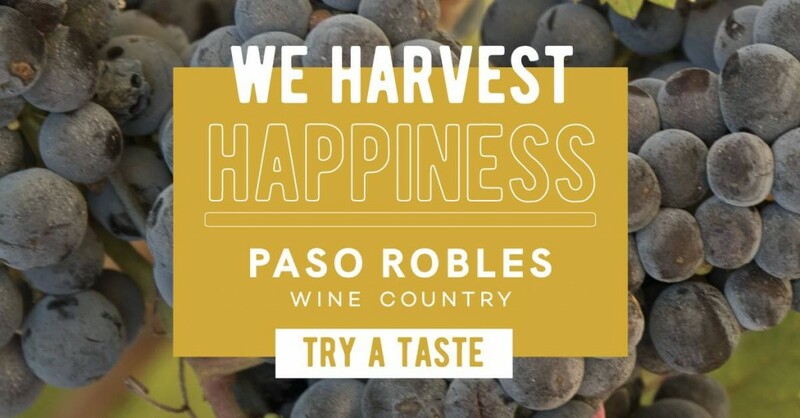 On February 21, 2015 the 1st Annual Paso BlendFest on the Coast will showcase the best characteristics of each partner, combining the scenic beauty of the coast with Paso Robles Wine Country, only miles away. Held during off season, BlendFest is sure to become an annual marquee event helping to promote stays at the area’s lodging properties and celebrate Paso Robles Wine Country in a beautiful setting. In order to maximize the experience, BlendFest on the Coast is a multi-session event featuring two unique events for two audiences. Session one, held from 1 to 3 p.m. will be limited to 150 guests and feature wine tasting for $40. Session two, the “Sunset Tasting,” will be held from 4 to 6:30 p.m. with tickets limited to 120 guests at $65 per person. This tasting will also feature passed appetizers and live music. 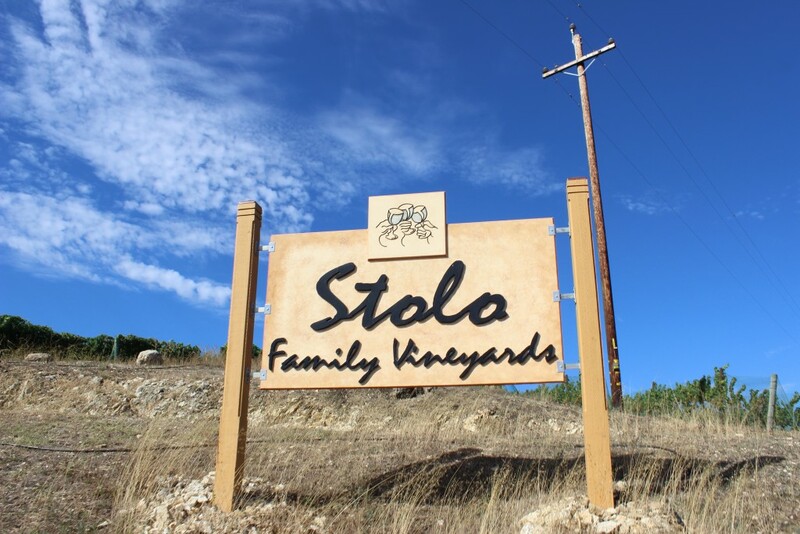 “We are pleased to join with the Paso Robles Wine County Alliance to host the first annual BlendFest,” said Michael Hanchett, Chairman of the San Simeon Tourism Board. “Our place on the coast is an environmentally and culturally rich area, which we look forward to showcasing through this event and encourage people to take in the many other attractions which make San Simeon and Cambria special. San Simeon and Cambria hotel guests will receive discounted admission with their hotel stay at participating lodging properties as well as a Paso Wine bottle holder. Tickets go on sale via Ticketweb.com on December 1, 2014. Additional complementary events are in the works, including a winemaker dinner. February 2015 also marks the second annual Coastal Discovery & Stewardship Month honoring California’s rich heritage, Highway 1 Discovery Route, and the country’s first Stewardship Travel Program (STP). Coastal Discovery & Stewardship Month details can be found here – www.winecoastcountry.com/events/coastal-discovery-stewardship-month. John Dickey and Denise Lowe. When I was finally legal drinking age, I was living in Pennsylvania, where the Liquor Control Board (LCB) stringently controlled the sale of any kind of alcohol. Wine and spirits were sold in “State Stores,” with single bottles displayed on shelves with the price. No notes, no information at all, and the clerks weren’t helpful at all. I used to buy bottles with interesting or pretty labels. Received some nice surprises and a few not-so-nice. One of my friends was a State Store manager, and he was able to order in some wines that he liked. For my 29th birthday, he brought me a bottle of Ruffino Riserva Classico – don’t remember the vintage, but now knowing more about Italian wines, I’m guessing the vintage was somewhere between 1971 – 1976. In any case, it was different from any wine I had ever tasted. Expensive, too. It was $10 in 1980. Big bucks! Explain your blog and its title. My name, Denise, is derived from the name of the Greek god of wine, Dionysius. The name became Dennis, and Denise is the feminine of Dennis; thus, Goddess of Wine! 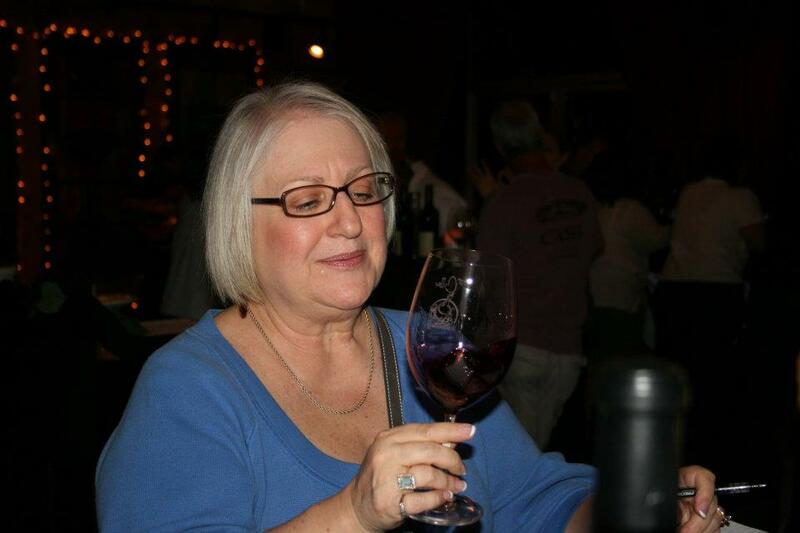 My blog is my personal musings and meanderings in the world of wine. “Write what you know” is what the experts say! So I’m writing about the wines and foods I’m tasting, the events I’m attending, and interspersing other oddments from my life as I go. Some of my postings are focused on one thing, others ramble a bit more. It’s a work in progress at http://goddessofwine.com. Well, I’ve been drinking wine for a really long time! My husband, John Dickey (JD), and I have been going to wineries since the early 1990’s. We’ve been lucky to be able to connect with winemakers and wine sellers who have been only too happy to share their knowledge with interested amateurs. Dennis Zadell and his partners at the Cambria Wine Shop in Cambria, CA, really began my true education – every tasting turns into a huge educational and fun event. Three years ago, I decided that I had to find a way to turn my passion for wine into my occupation, and I started searching for information and jobs. Thru www.LocalWineEvents.com I found a class titled, “So you want to be in the wine business?” and it was being offered by www.LearnAboutWine.com. We went to Loft 218 for the first time, and met Ian Blackburn, who provided the class huge amounts of information about what types of jobs were available in the industry. 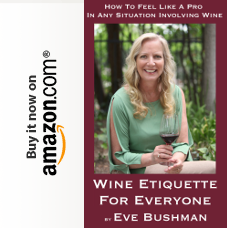 It was a bit startling to discover how many folks in the room were already in the biz – making wine, selling wine, marketing wine, writing about it – and I left the class even more unsure as to where I could apply my skills and knowledge. A few days after the class, I got an email from LAW advertising a tasting event at HD Buttercup. The ticket price was a bit higher than I wanted to pay, but at the very bottom of the page, there was a link asking the question, “Interested in volunteering?” I emailed Ian – JD and I have a lot experience getting things done quickly and cleanly – and he said yes. That was the beginning. At first we did set up and strike during events, but after I graduated from the inaugural class of LAW School (Learn About Wine School) with my Junior Wine Executive Certification, I started pouring wines for Ian’s events, and now occasionally teach his Wine Camp (Wine 101) class. I’m also a Professional Member of the Society of Wine Educators, and will be starting the course for the Certified Wine Specialist shortly. And, wineshopathome (Is that right? ), are you still doing that and what is it? It’s actually WineShop at Home, and yes, I’m still doing that, too. In fact, I was looking for some kind of wine business that I could do along with the mostly volunteer work I was doing for Ian. I actually met my Team Leader for WineShop when I was working one of Ian’s “Palate” classes (a great way to learn about the aromas and tastes found in all kinds of wines). After telling her what I wine snob I was, she invited me to a tasting, and I was hooked! WineShop at Home is a bonded Napa winery. Like many wineries, we source our grapes from premium growers all over California, and we make small production, artisan wines. Unlike a regular winery, our tasting rooms are our hosts’ living rooms! We do intimate, guided wine tastings in your home. The host pays $59 for the tasting sampler, which includes 5 different kinds of wine, plus a Hospitality bottle, which can be opened for the tasting or saved for later, and provides some small snacks – cheese, crackers, fruit, and chocolate – for pairing with the wines. At the end of the evening, guests have the opportunity to order the wines they like, book tastings of their own, and there are lovely incentives and gifts for the host. 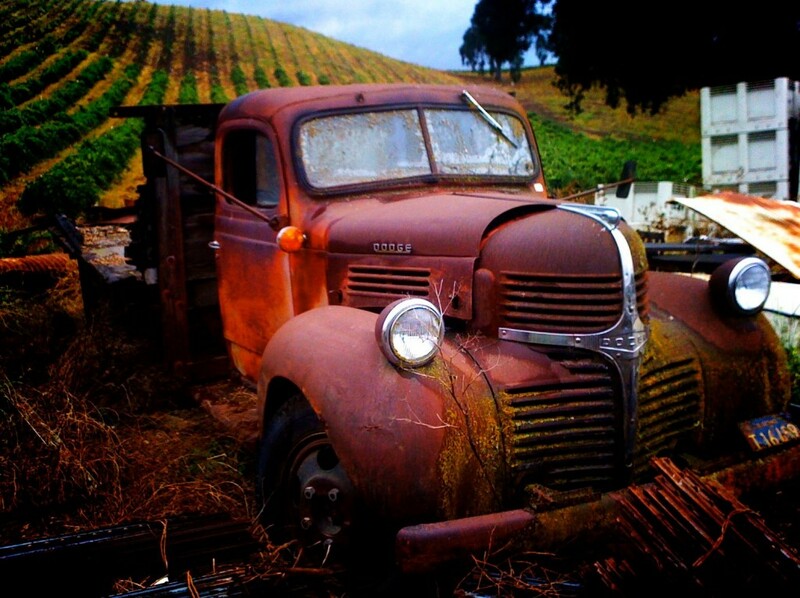 We like to say that we bring the Wine Country to you! It’s fun, the wines are well-made and value-priced, and everything is quickly shipped to your door direct from Napa. It’s a great company with a product I really like. And it’s a great way to spend an evening with friends! Goals for your future that I can steal…err…follow? As I mentioned, I’m going to go for the CWS certification. Once I achieve that, the next step will be the Certified Wine Educator certification, which seems to have some prestige, although my main interest is really just learning as much about wine as possible and continuing to teach about it. I also plan to continue to write about wine and my experiences in the wine biz. I never thought writing would be this much fun! And I’m meeting such interesting people! Folks always ask me what’s my favorite wine, and I always wish I could give a straight answer! I start out by saying something about Bordeaux and California Bordeaux-styles, and suddenly I’m going on about Rhones and Burgundies and wines from Australia and Argentina and Santa Barbara and Oregon!! 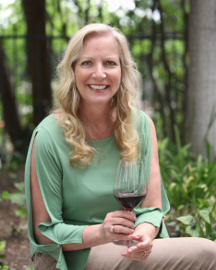 I just love wine; I love talking to winemakers who are passionate about their craft, and I love introducing people to wines they’ve never tasted; I love sharing wine with friends and family – and I love making new friends over a glass of wine! Cheers! 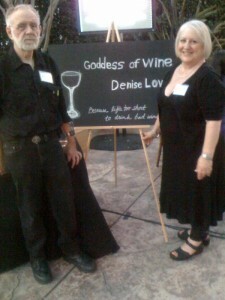 Goddess of Wine, Denise Lowe. Photo by Xochitl Maiman. The party was to celebrate Wine Enthusiast magazine’s #1 ranking of Cambria Winery’s ’06 Julia’s Vineyard Pinot Noir. The event turned out to be a bit of a “Twitter Meet-Up”. When I arrived at Craft in its Century City location, and ushered into a private room, the first thing I noticed was a large screen on one wall with a live Twitter feed. Twitter, like Facebook, has little icons, or Avatars, for each member. A “Tweet” is limited to 140 characters (which is why I prefer Facebook, writers need a wee bit more space) and, for this group it was all about networking over, you guessed it, wine. I had fun matching the live feed of my Tweet friends to guests around the room and quickly went to meet the match for Adam Beaugh himself, Jesse Hiestand, Luke Mathews and Ben Mason (friends from Hipsterenology.com that I’d met at Rhone Rangers this summer), Denise Lowe (Goddessofvino.blogspot.com), her husband John Dickey and uber social media strategist Tom Martin. While I met and chatted with the proprietor Barbara Banke about her daughters due to arrive, and then winemaker Denise Shurtleff on winemakers that don’t always stick to the rules in admitting to what’s really been blended into their Pinot Noirs, and her hubby that won’t come to pour with her as people presume he is the winemaker – the clock struck midnight for me and I had to dash home. The other star that I missed was special guest Steve Heimoff, Wine Enthusiast California editor that I met later, you guessed it, on Facebook. From the attentive wait staff, hostess, coat check, valet services all the way down to the elegant glassware, guests were greeted with “too many spoons” to count. Think stacked appetizers cradled in metal spoons, as well as the expected charcuterie. I especially liked the salami, Goat cheese, the bite from the poached pomegranate in the “Chestnut Agnolotti”, lobster, duck ham and Hamachi. The private invitation-only wine tasting was to benefit Children’s Bureau and their new Magnolia Place Family Center Library. In the spirit of the season, donations of children’s books were encouraged. (I brought a bag full myself!) All was sponsored by Children’s Bureau in conjunction with Cambria.